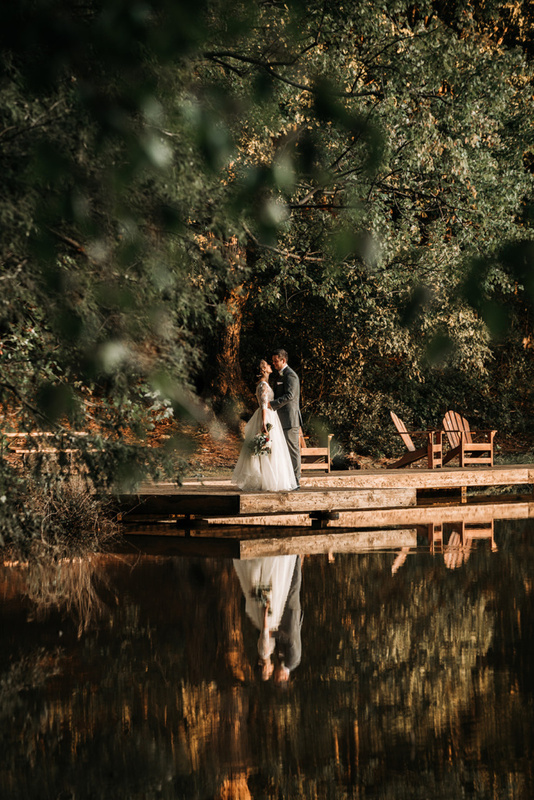 An October lakeside evening in NC may be the most perfect setting for a wedding celebration. 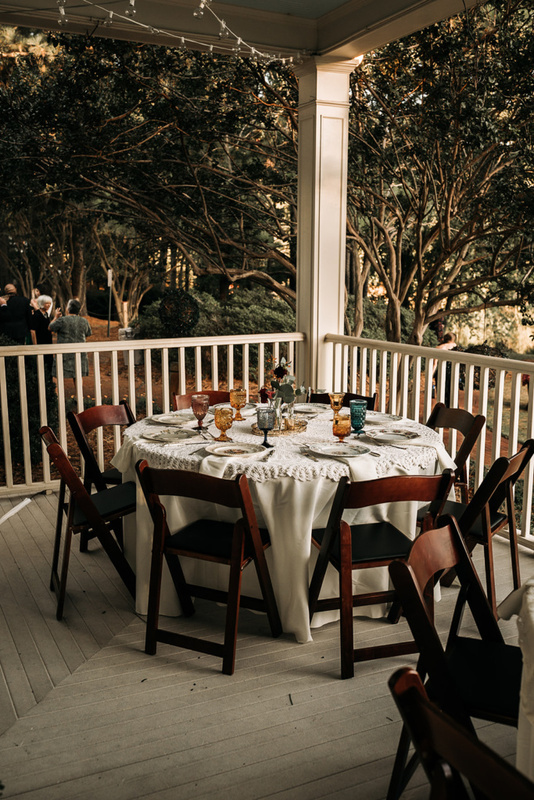 As shown through these divine photos taken by the talented Ashley Steffens, we definitely agree! 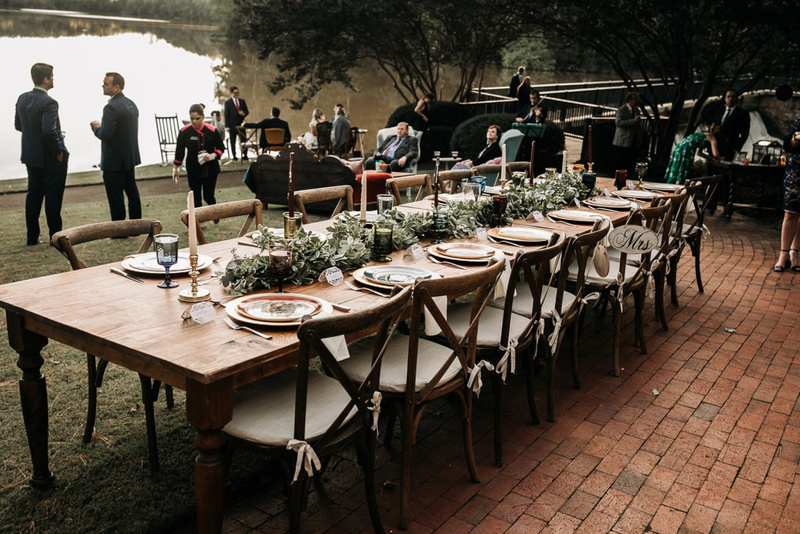 Ashli and Matt’s beautifully styled vintage boho wedding was held at the Sunset Lake Lodge in Holly Springs guided by the expertise of wedding planner, Emily Katherine Events. We are so excited to share these with our readers! 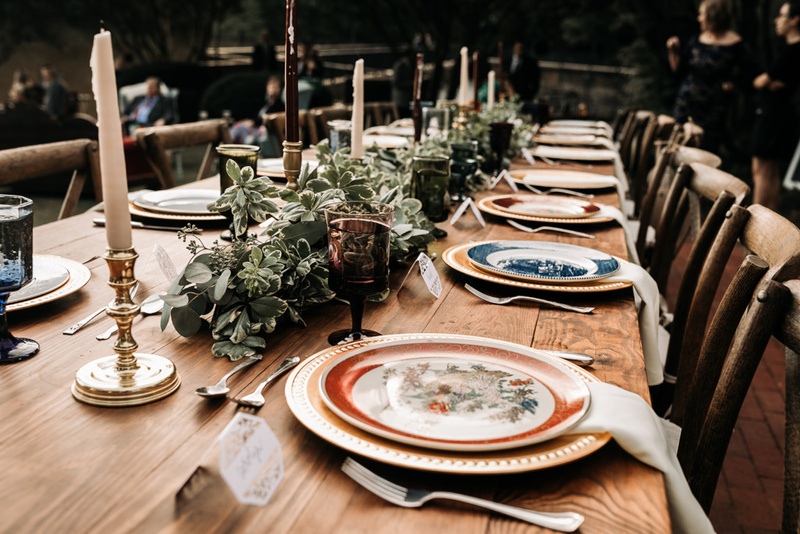 We joyfully provided many elements for this vintage boho gala. 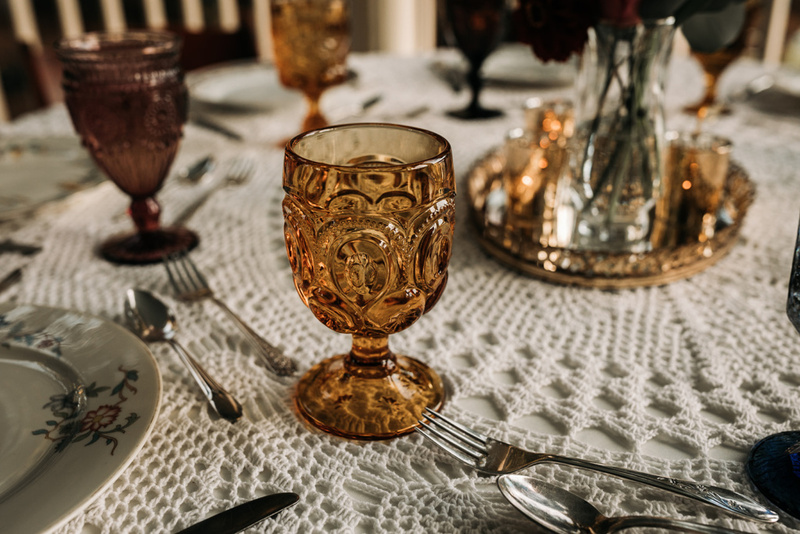 Vintage dinner plates, jewel-toned goblets, silver-plate flatware, and several of the crocheted overlays. Our charming vintage dresser mirrors framed the gorgeous florals of Springwell Garden. With our sincerest gratitude, Ashli and Matt, thank you for inviting us to your wedding day. 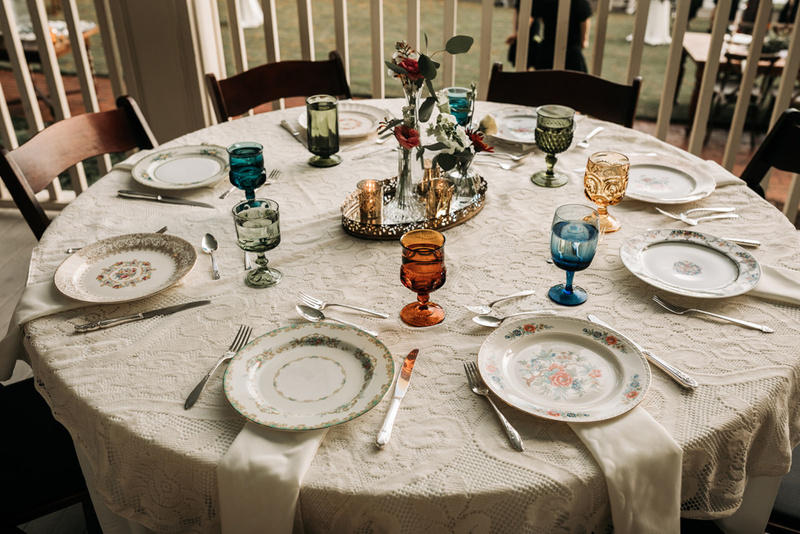 Setting your guests’ tables with our vintage tableware pleased us so much! Best wishes for many happy days, months, and years ahead! We end our post with this wonderful review from the bride’s mother. Thanks, Kathy, for your kind words! 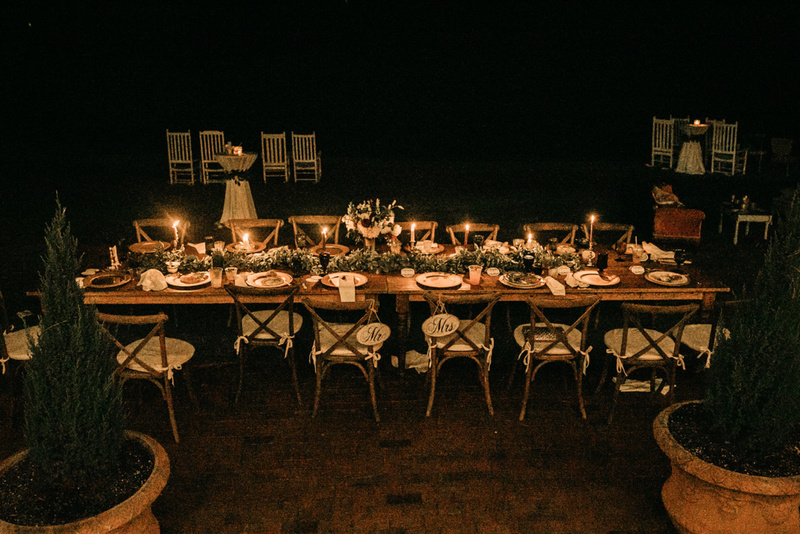 My experience with SVT exceeded all expectations!My daughter’s dream wedding style was vintage/boho! SVT provided us with the perfect pieces which topped off the decor which exceeded our expectations. 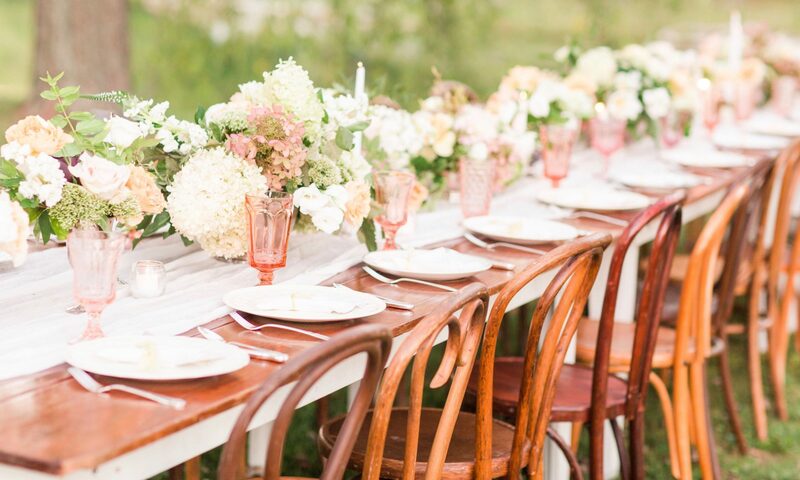 Give SVT a call to find your perfect pieces too! 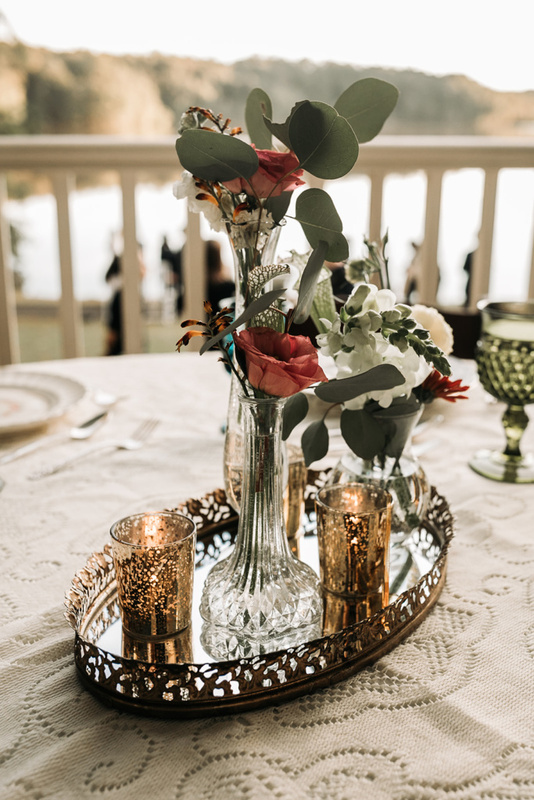 We rented vintage dinnerware/glassware and vintage gold trays!